The Awakenings Review is published by the Awakenings Project. Begun in cooperation with the University of Chicago Center for Psychiatric Rehabilitation in 2000, The Awakenings Review has been acclaimed internationally and draws writers from all over the United States and from several other countries including Israel, South Africa, Australia, Finland, Switzerland, the United Kingdom, and Canada. 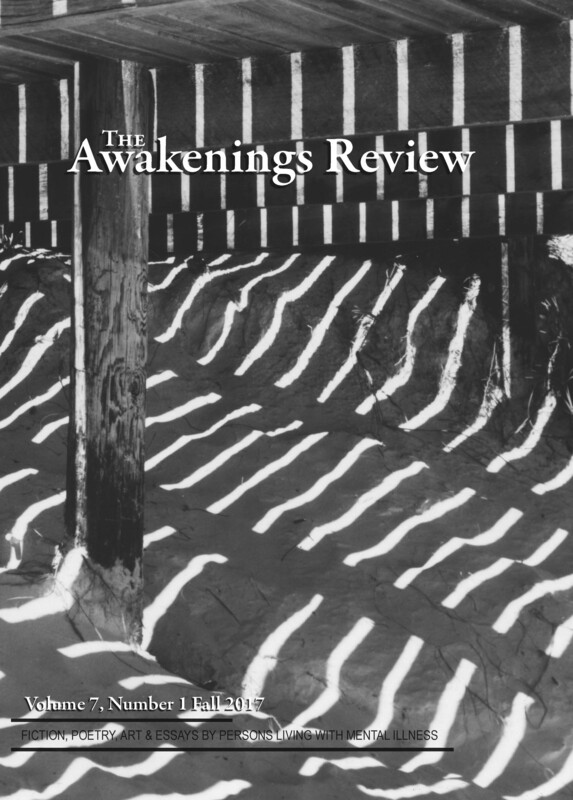 If you are interested in submitting your writings to The Awakenings Review, please click to consult the Submission Guidelines first.